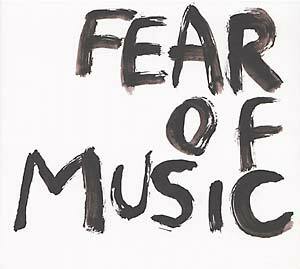 "The six tunes in your hands represent Fear Of Music's debut release for newly founded Manchester indie label Blowout. Things have moved very quickly for this four piece from the south Manchester area, since their first ever live show in spring 2003. Since then, Fear Of Music can count themselves veterans of more than twenty impressive gigs. Their blend of accomplished songwriting, abrasive art-punk aesthetics and assured yet incendiary performance, has catapulted them into an enviable position as the most talked about new band in the UK right now. 'Skin and Bones' shows a darkly literate, lyrical maturity at work, 'Hey Princess' a canny punk-pop sensibility, 'The Creeps' is an immediate haunted rock anthem built to last. 'The Waltz' and 'Millions Screaming' reveal a sussed band with huge ambition. 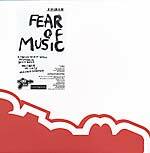 Fear of Music are a growing thing which readily brings to mind elements of early Manics, Radiohead and Muse whilst effortlessly importing much of the exotic sass of prime period Pixies, Sonic Youth and Smashing Pumpkins."